Is there a better way to celebrate your love for Chip’s Family Restaurant than by coming in a few times per month for your favorite dish? We actually believe there is! 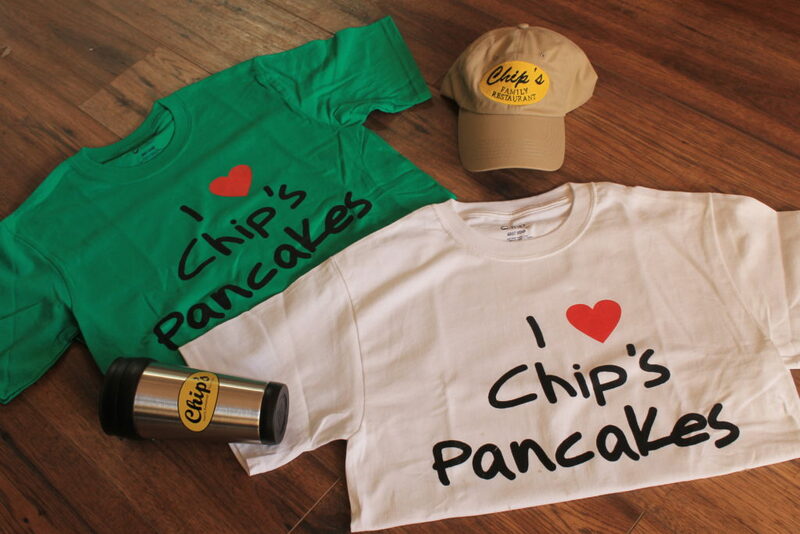 Beginning in just a few short weeks, you’ll be able to wear Chip’s on your sleeve (literally) and get your hands on our pancake batter and our real maple syrup! That’s right, we’re currently working feverishly to get all six of our locations fully stocked with hats, I ❤ Chips Pancakes T-Shirts, real maple syrup, pancake batter and coffee mugs. Pretty soon, you’ll be able to have a piece of Chip’s with you even when you can’t make it into the restaurant. While we continue to work long hours to get all of the brand new merchandise into our stores, the only thing left for you to do is to get excited! In the meantime, feel free to stop by any of our locations for a delicious breakfast, lunch or dinner and ask the manager when they expect to have their merchandise for sale. Have additional merchandise items you’d like to see us carry? We’d love to hear your ideas and see where your creativity is headed.